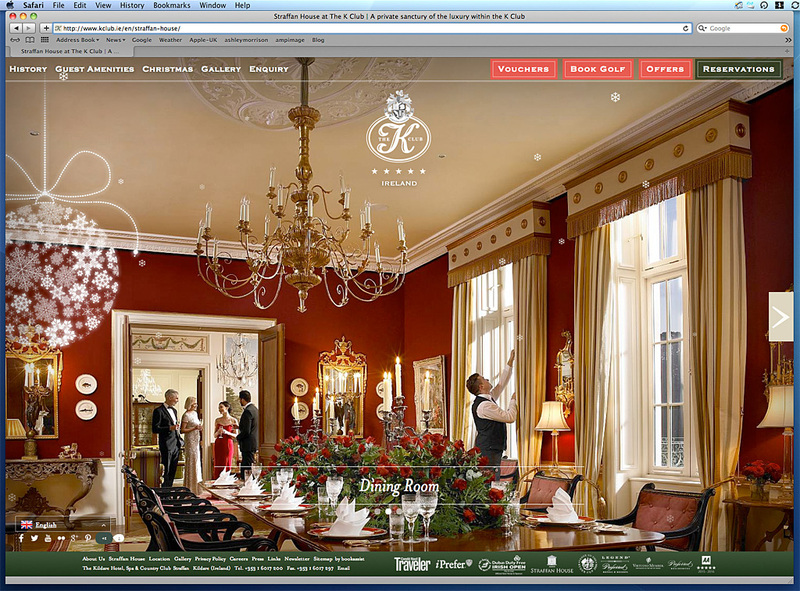 The home page showing the dining room in Straffan House on the K Club's website. Media use: All media including Worldwide web & promotional emails - the dining room in Straffan House on the K Club's website. Period of use: 10+ years.